The Village of Alamance agendas, minutes, resolutions and ordinances approved by the City Council and a variety of other public documents are archives and available for public inspection in the Town Clerk’s Office. You can also View the Archives on the website and search by entering in the keyword(s) or date for the item you are looking for. 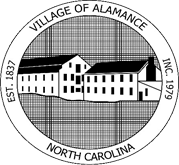 The Village of Alamance encourages citizen input. One of the ways to provide such input is to petition to address the City Council during a Council meeting. Follow our Events Calendar for upcoming Town Hall meetings to address any ideas or concerns. Click the button to the right to view the 2018 archive. Click the button to the right to view the 2017 archive. Click the button to the right to view the 2016 archive. Click the button to the right to view the 2015 archive. Click the button to the right to view the 2014 archive. Click the button to the right to view the 2013 archive. Click the button to the right to view the 2012 archive. Click the button to the right to view the 2011 archive. Click the button to the right to view the 2010 archive.